Here at Funky Furniture, this is definitely one of our favourite pieces! You can't fail to make a statement with this quirky and eye-catching Chesterfield style illuminated sofa. Whatever the event, by day, the unlit white sofa looks funky and inviting, but when the lights go down this piece really comes alive! What's more, it can be used either indoors or outside so it's a truly versatile piece of furniture too. 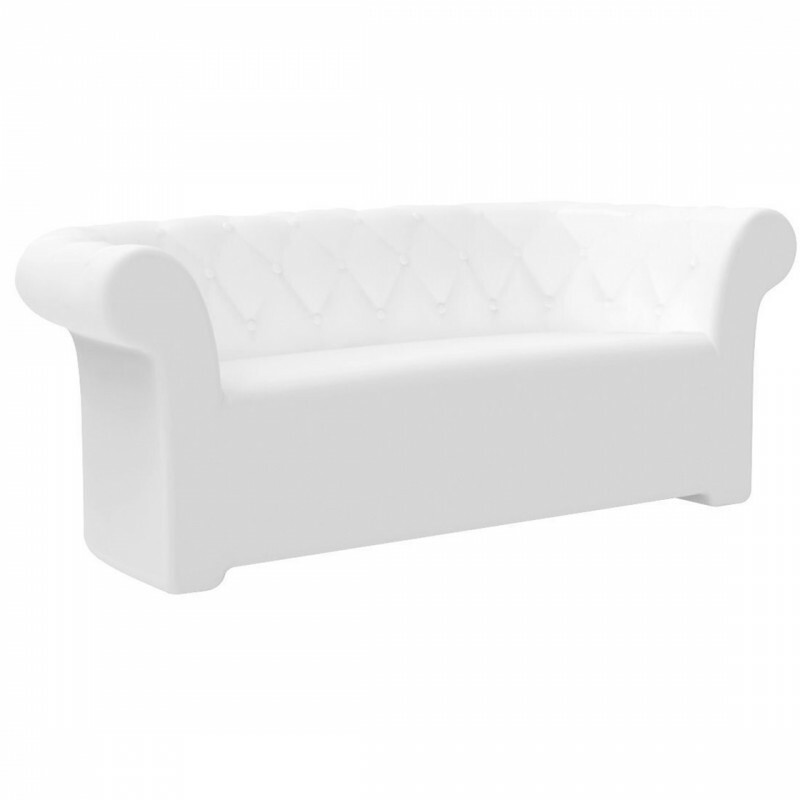 This LED illuminated Chesterfield style sofa can be lit with your preferred colour, just use the handy remote control unit and you can even choose whether to have solid or fading colours as well as adjusting their intensity. This makes it easy to make a real statement with your furniture, and it can easily be changed to match your scheme or preferred mood. We also stock a smaller LED illuminated Chesterfield style armchair. Why not take a look at our full LED furniture range.